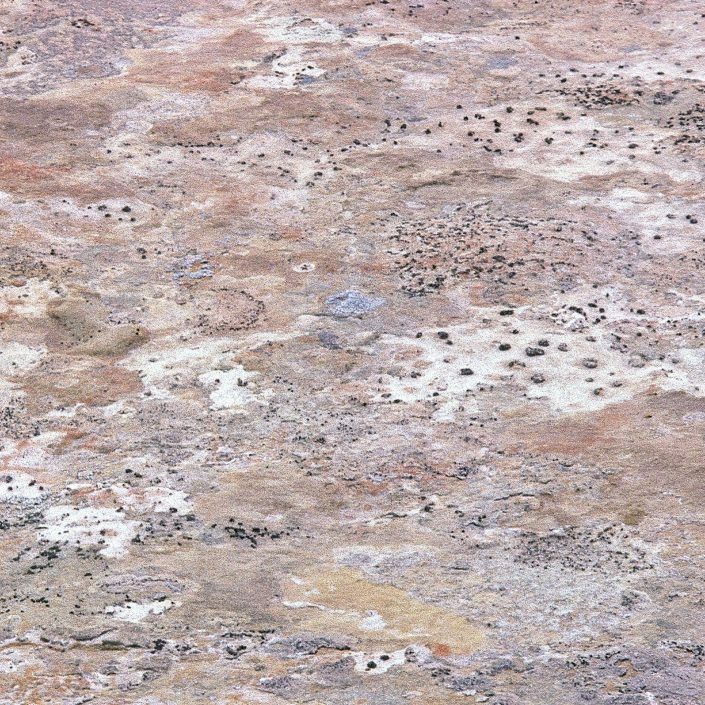 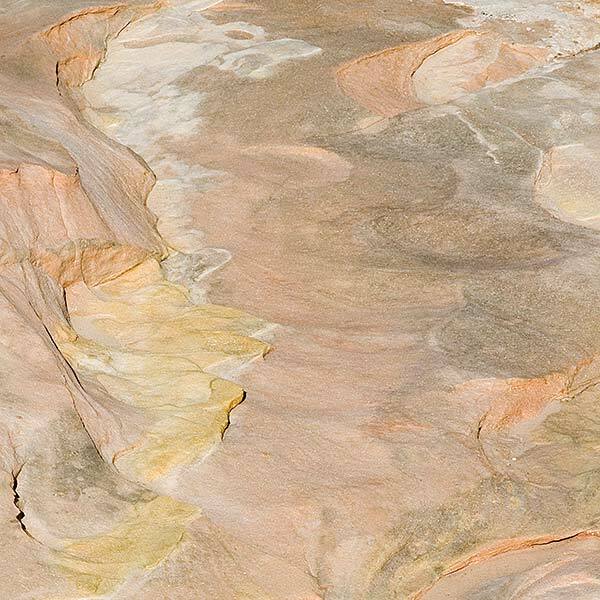 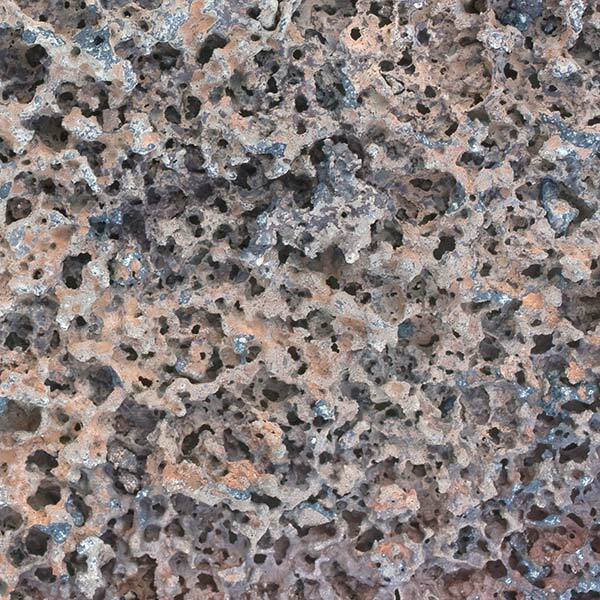 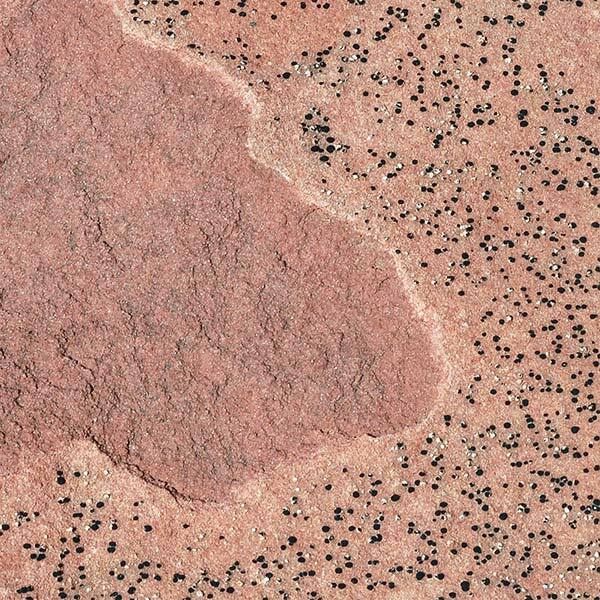 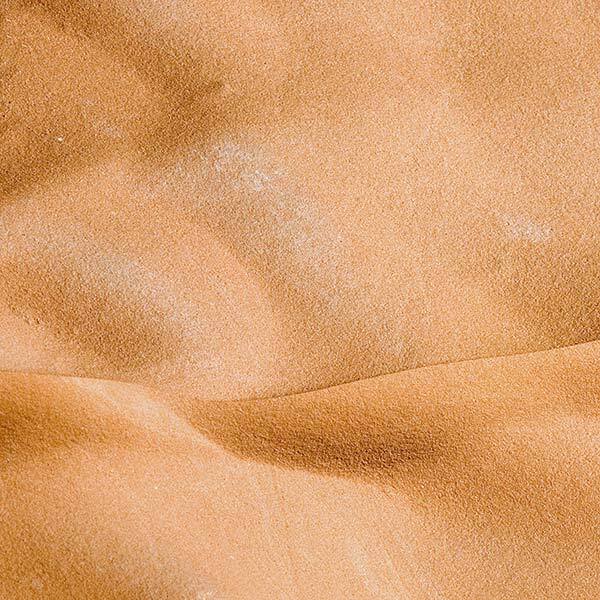 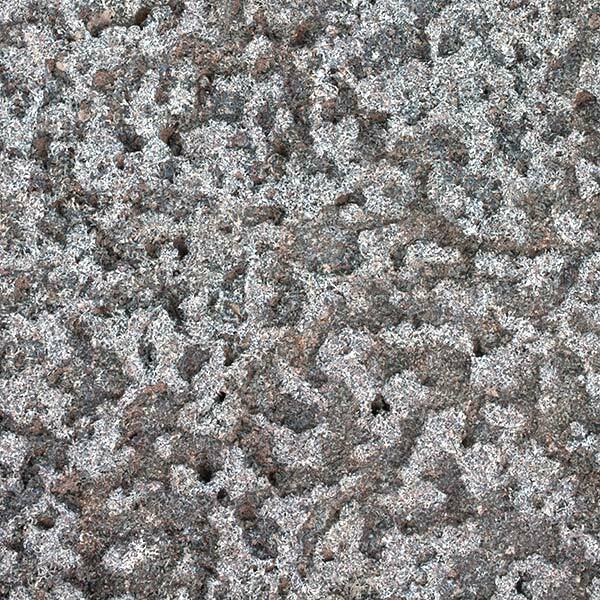 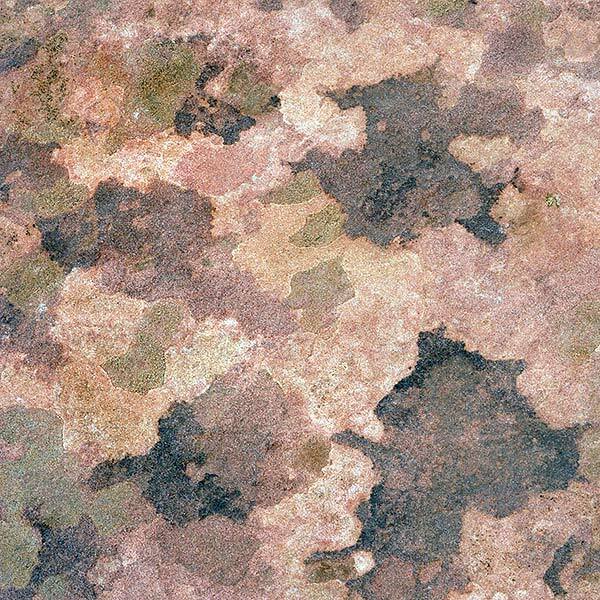 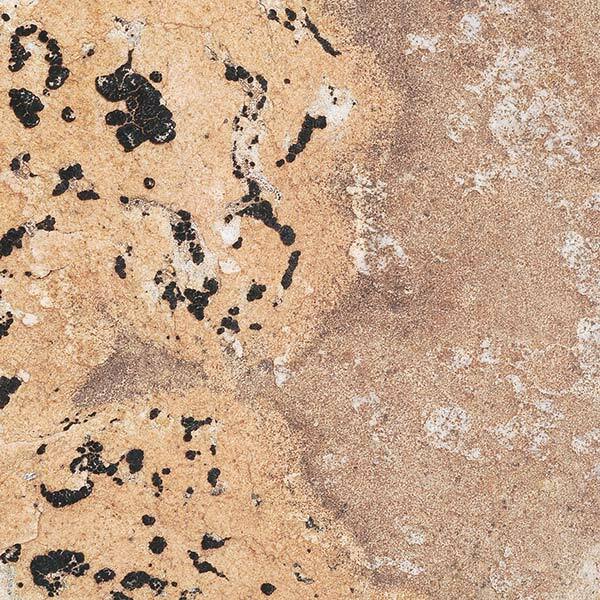 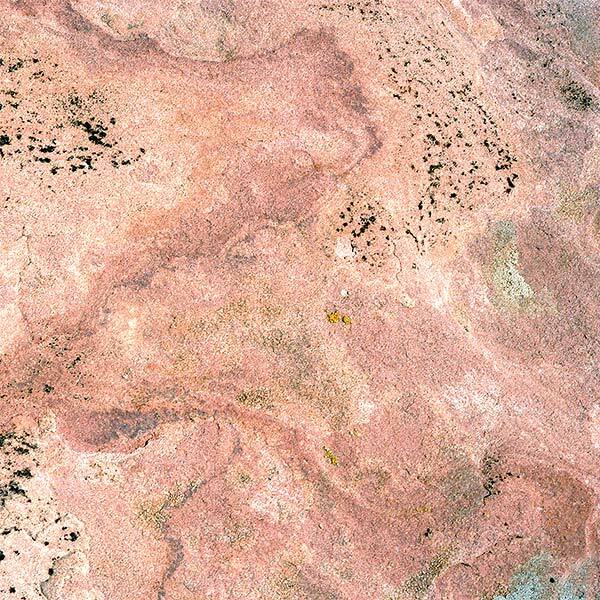 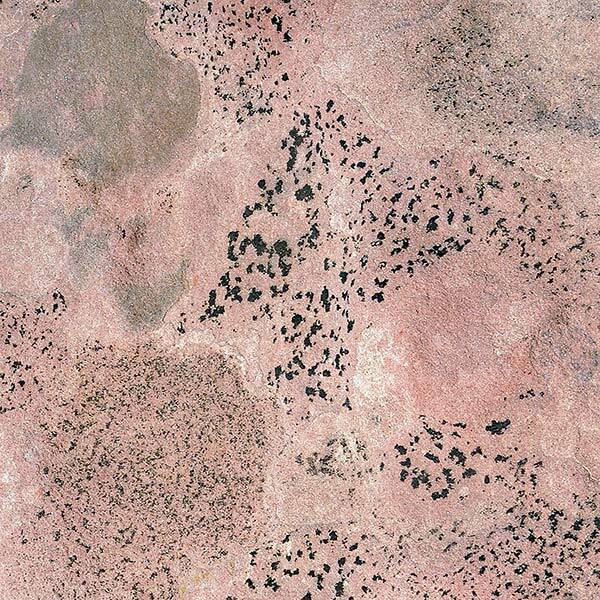 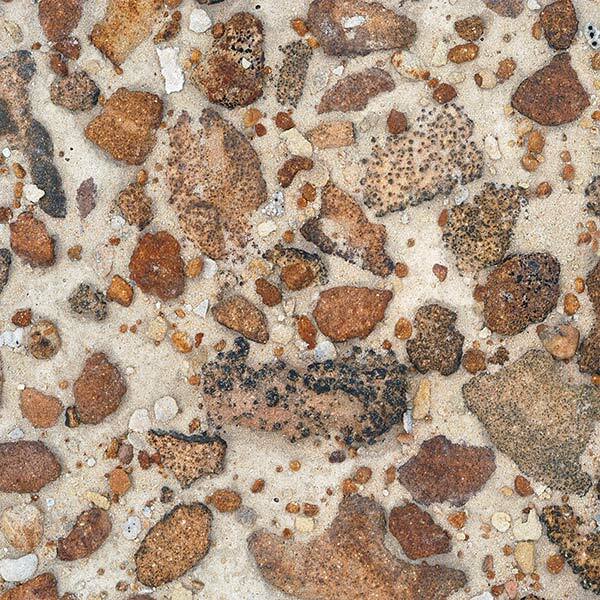 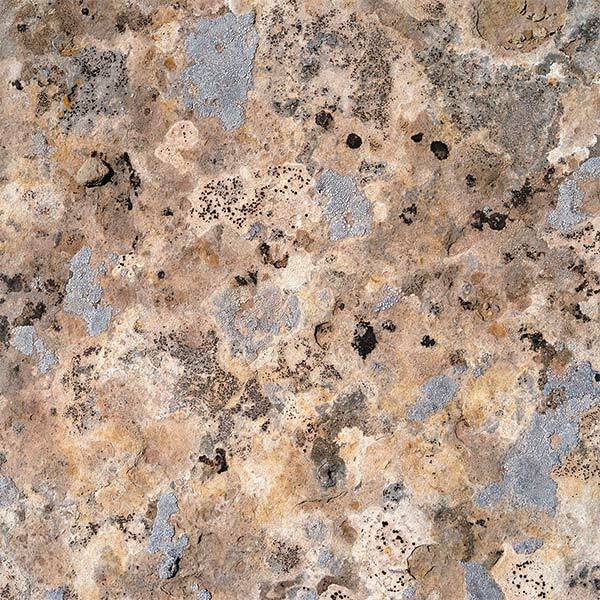 In 2002, Stephen Strom turned his attention from his interpretations of landscapes to macro-images of desert sandstone that express in their quiet, understated way the same powerful combination of pattern, history and emotion as the ‘grand vista’. 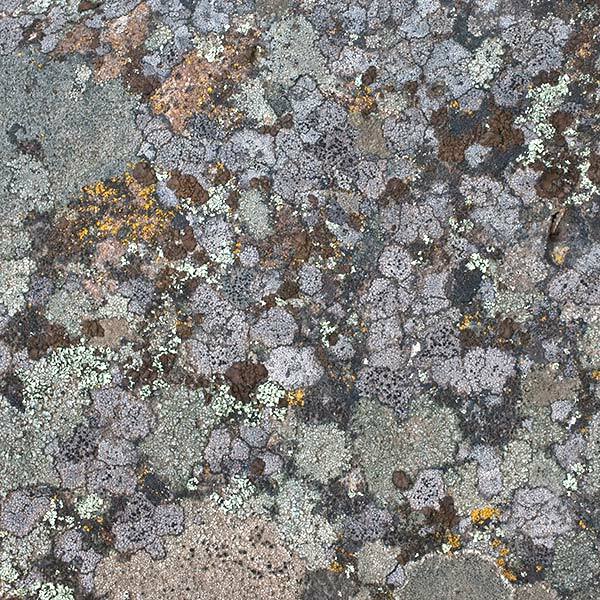 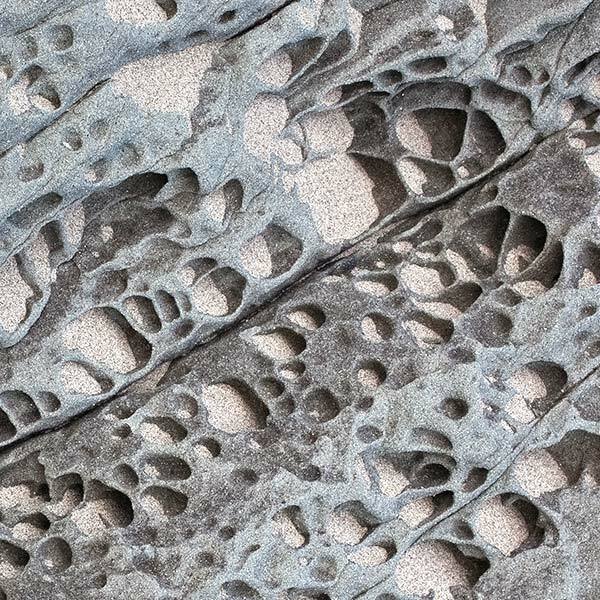 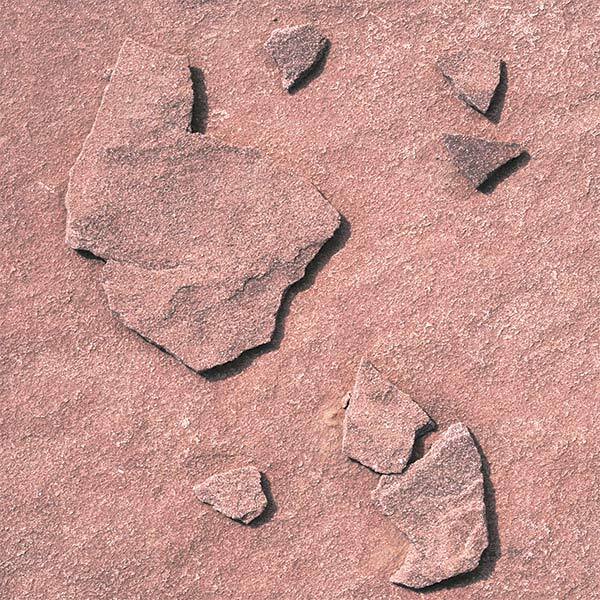 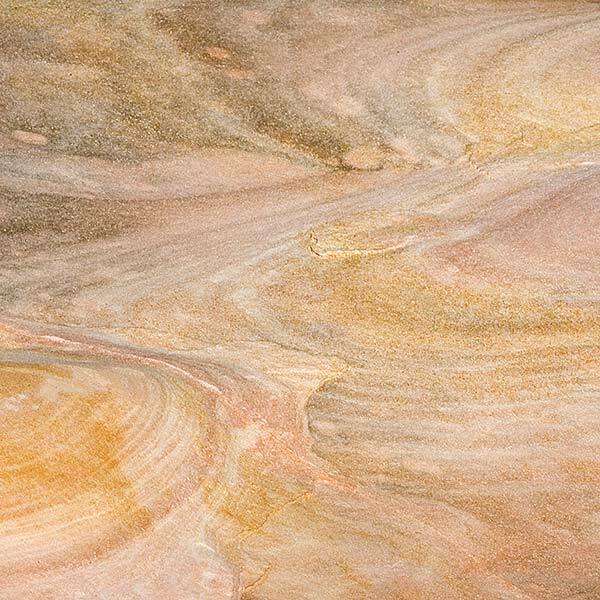 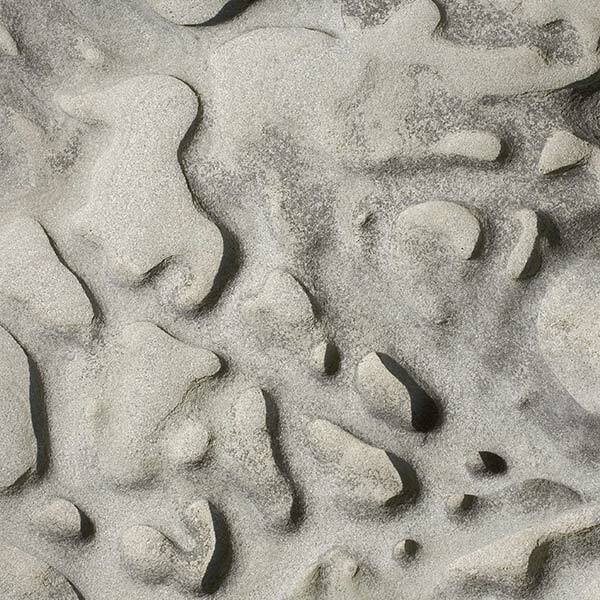 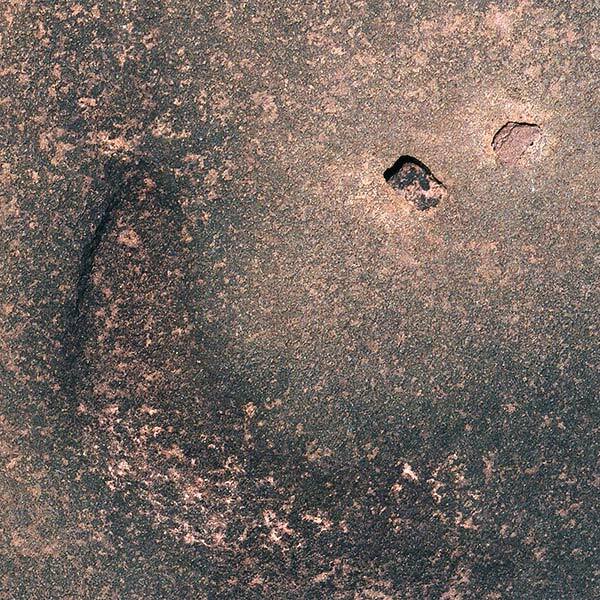 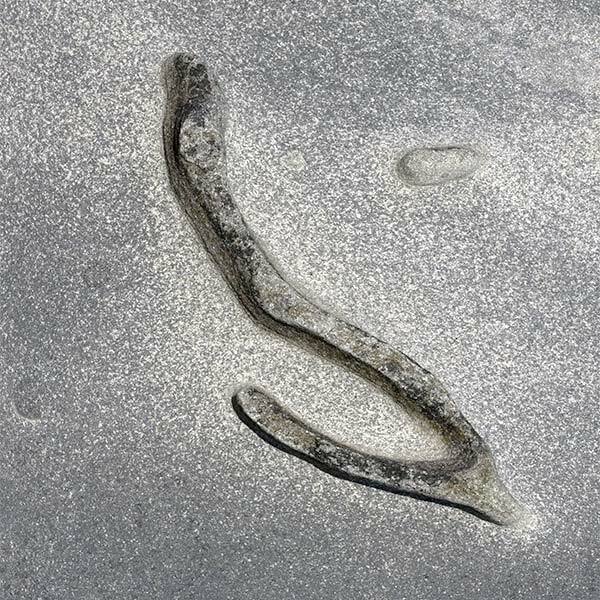 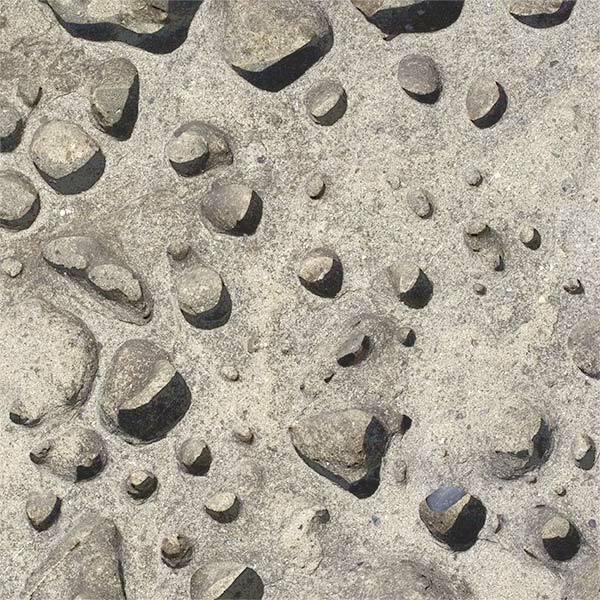 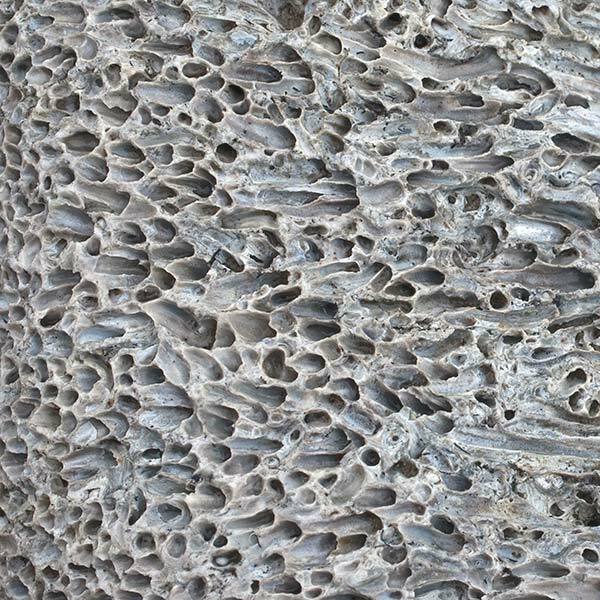 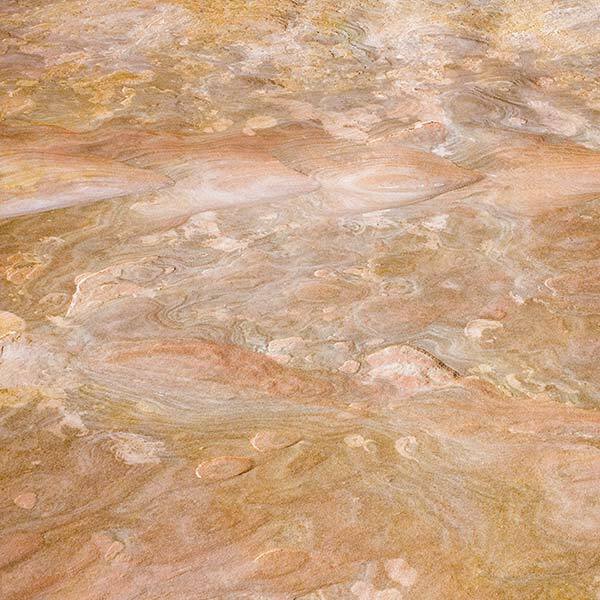 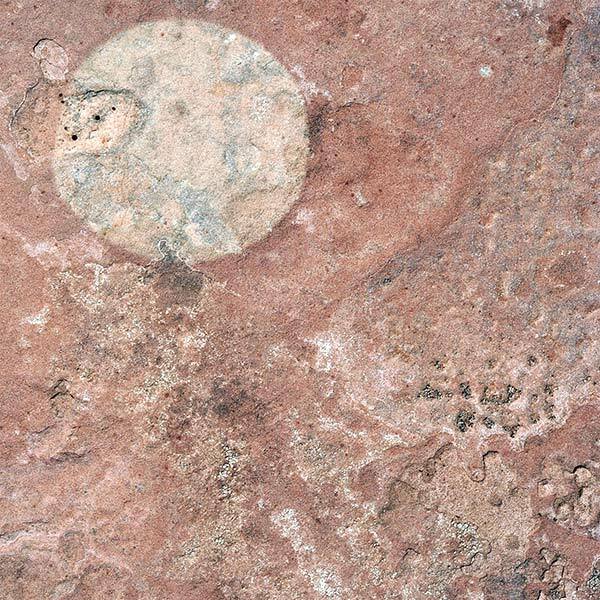 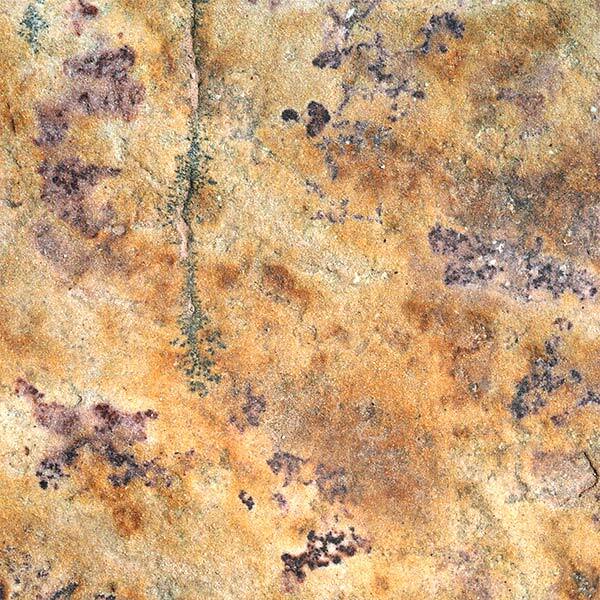 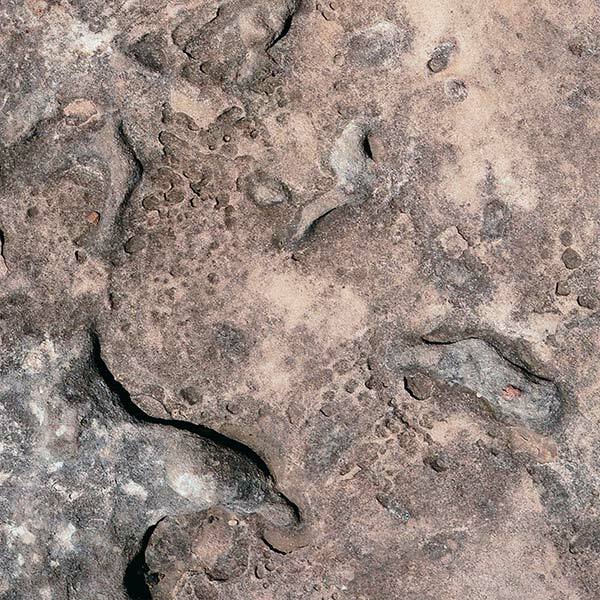 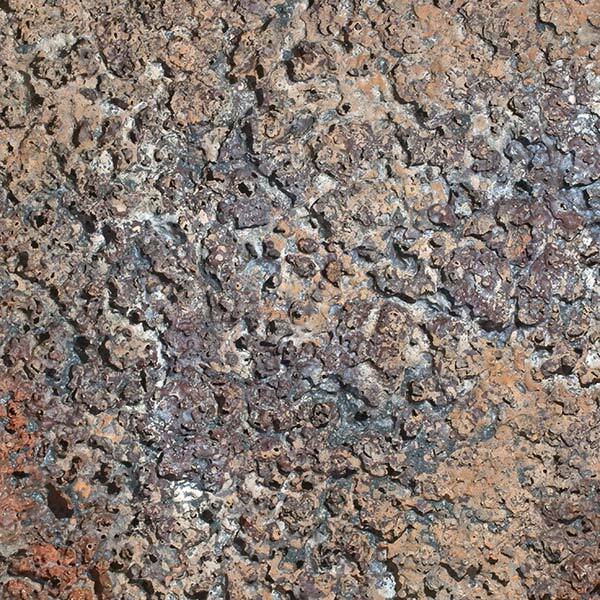 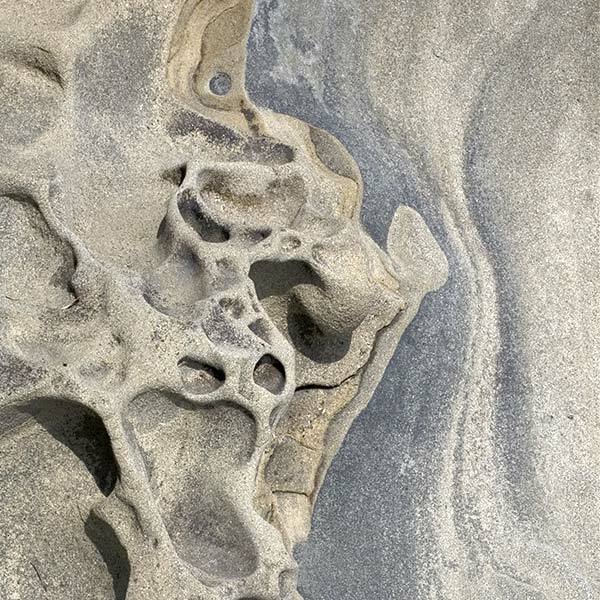 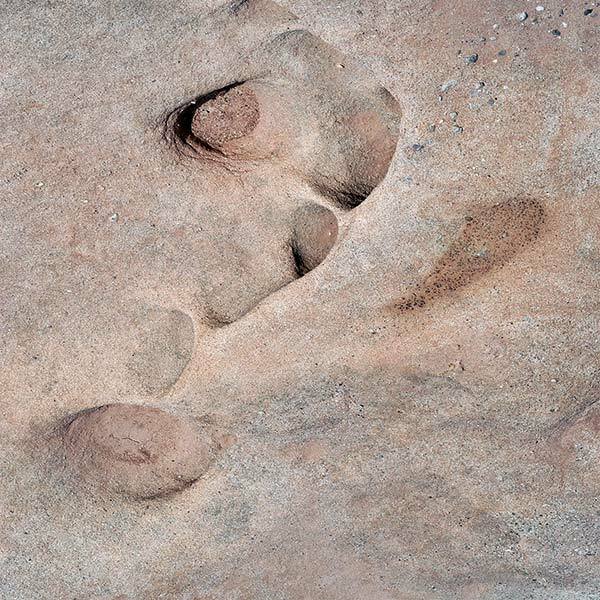 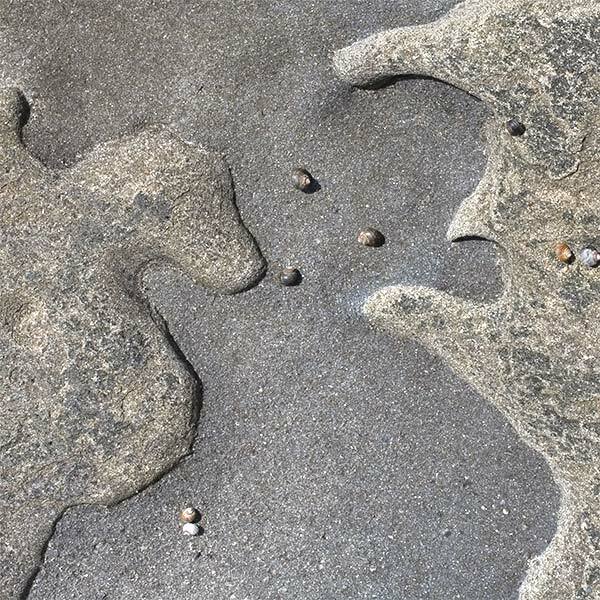 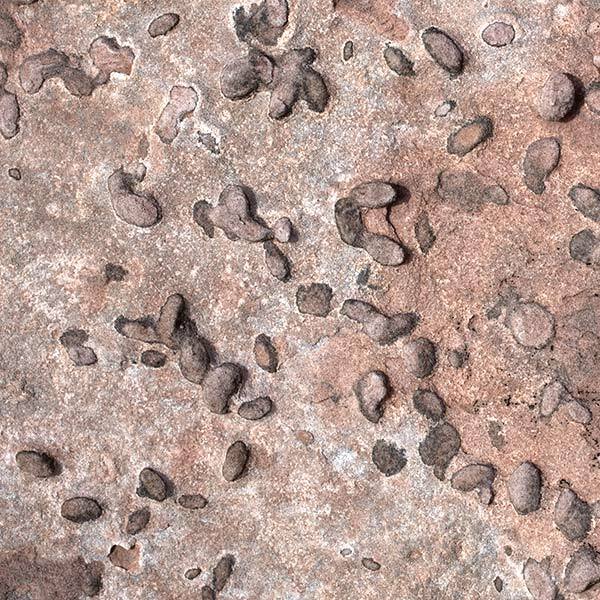 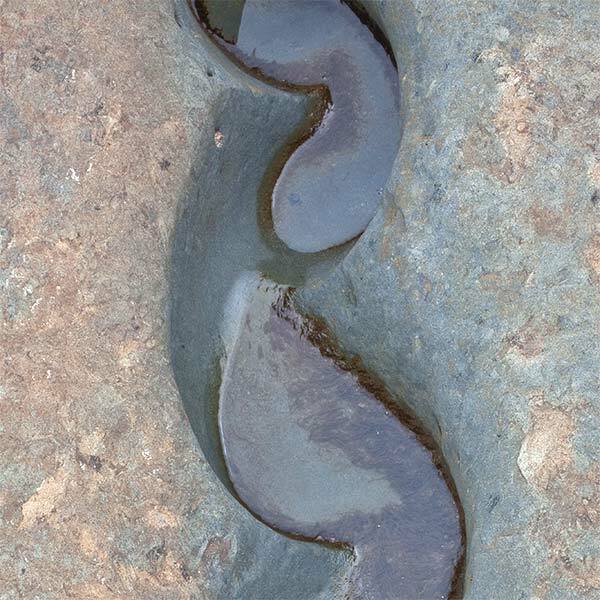 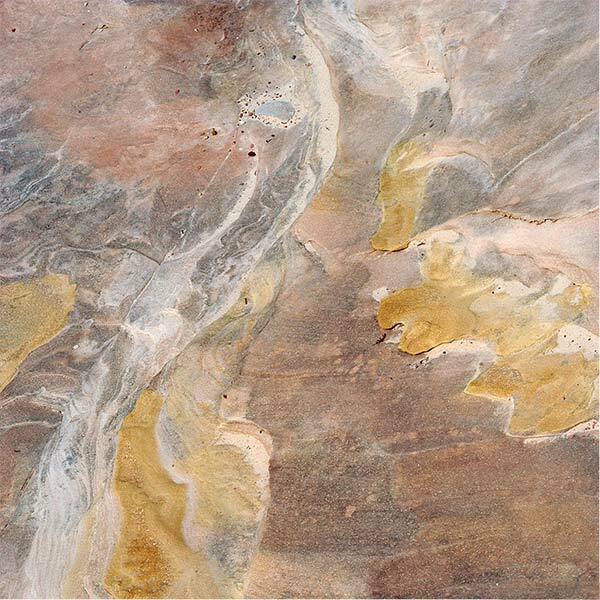 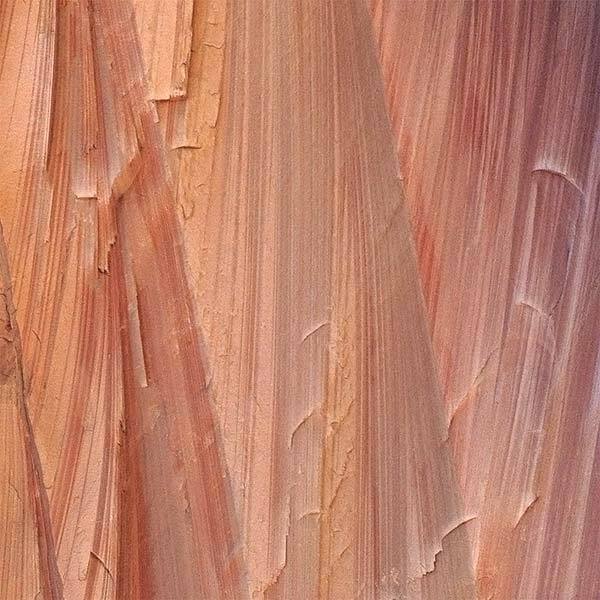 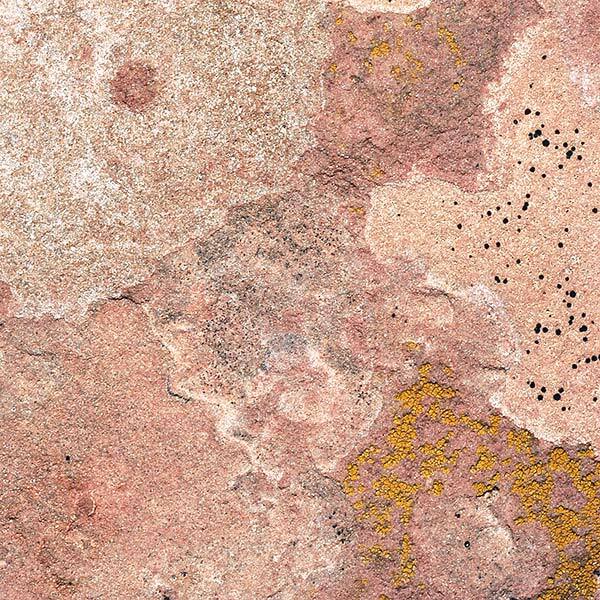 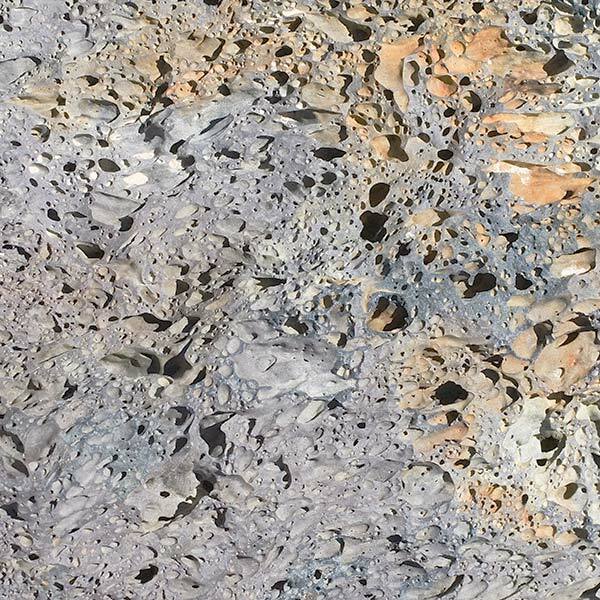 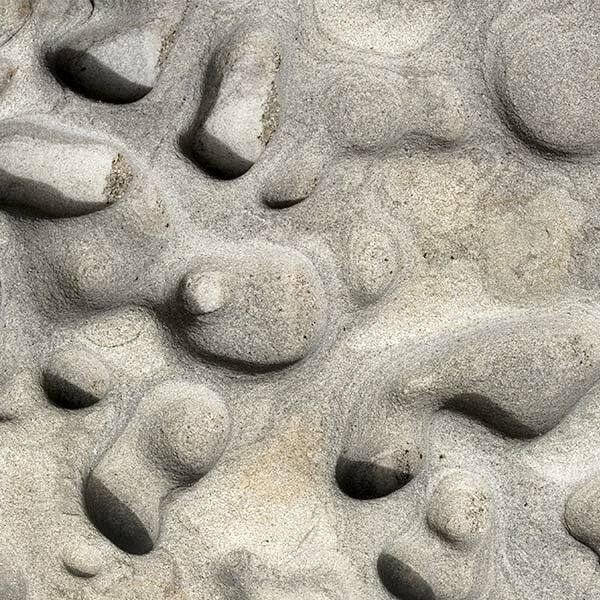 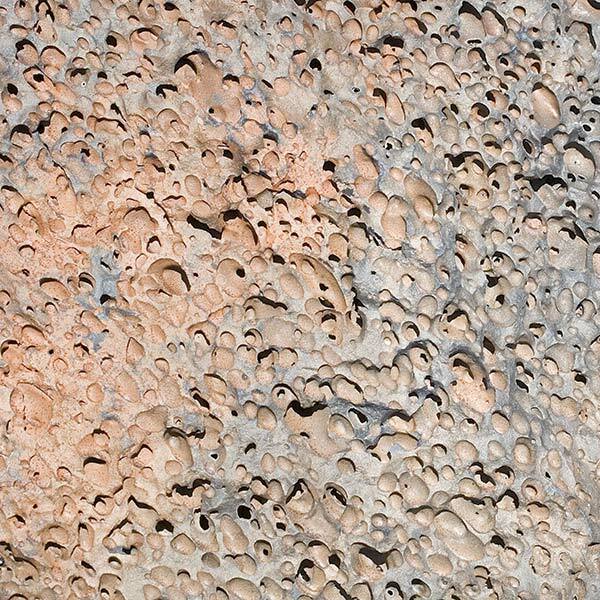 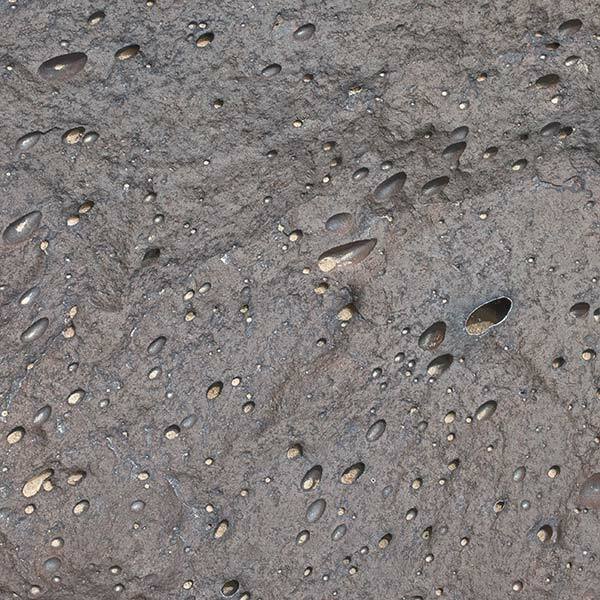 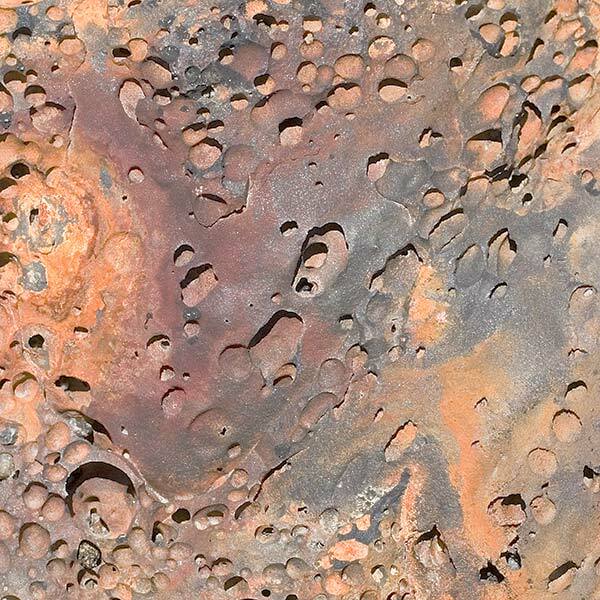 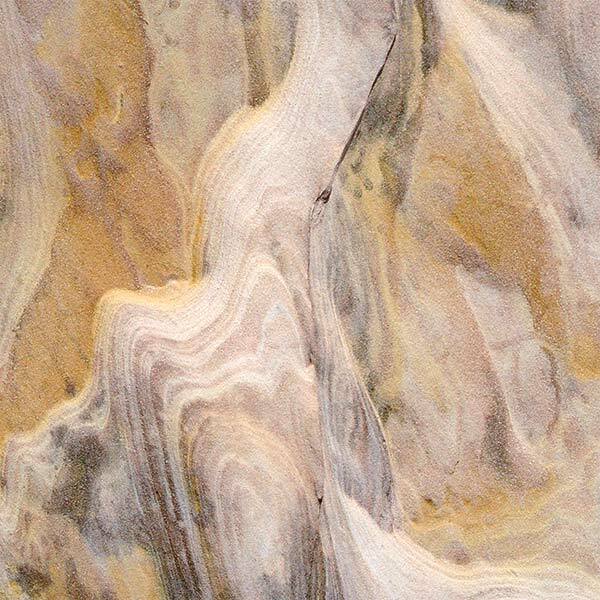 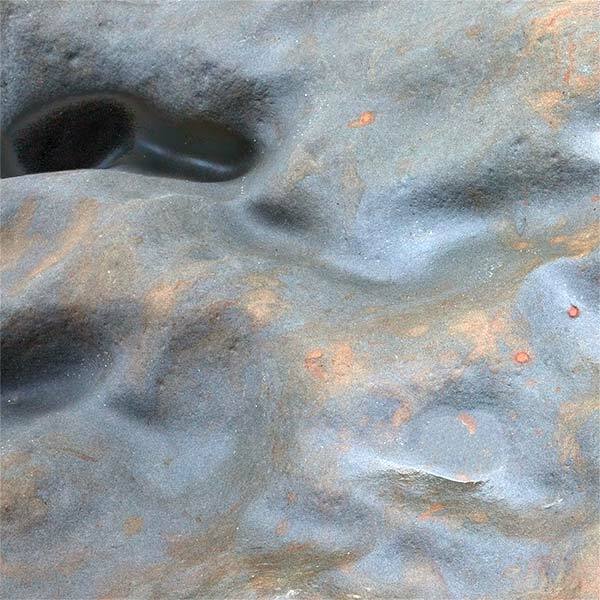 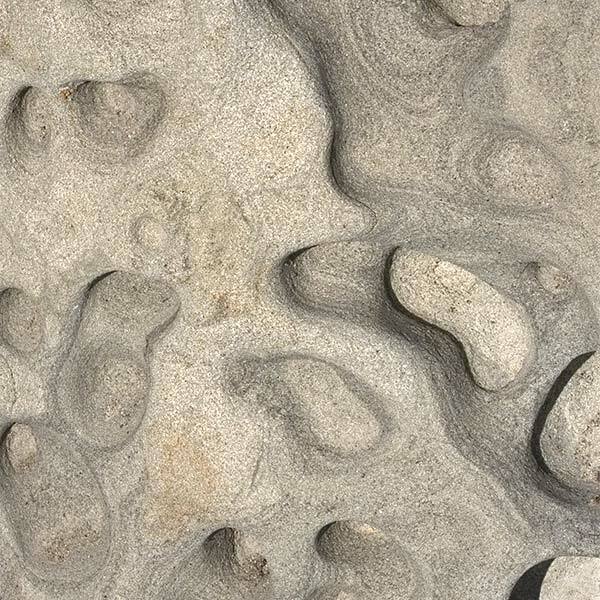 In the shape and patterns of sandstone, according to the late essayist, Ellen Meloy, “resides the memory of ancient seas. 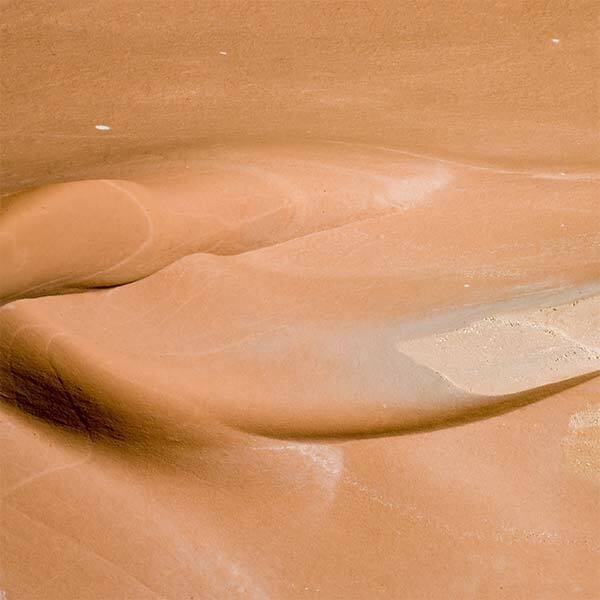 Copper-colored floods sculpted the hollow that holds the palm of our hands.” Meloy’s words speak to the emotional draw of sandstone, a seduction to lie “recumbent on a piece of sandstone as a respite from the motion of a long walk, a way to fit muscle, bone, and flesh to a curve of earth. 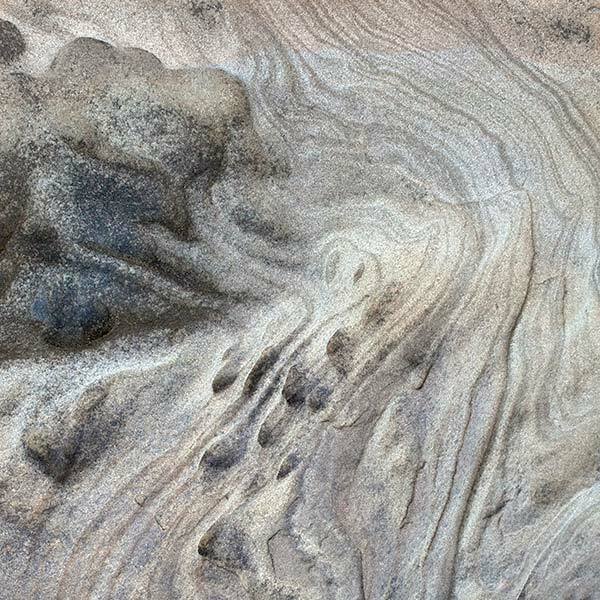 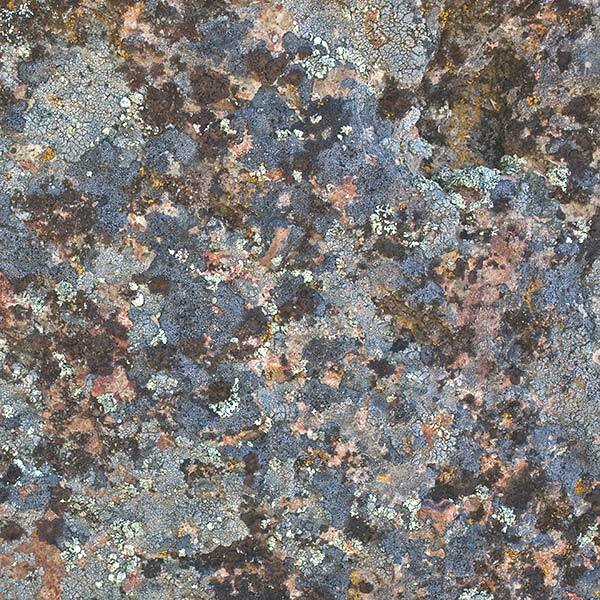 The posture of intimacy and sensation evokes emotion, one hopes, which leads to meaning, then understanding.” Consider these images shards; fragments that together aim to reveal history in the patterns of iron, copper, silicon, manganese and uranium compounds created long ago in the interiors of stars and, billions of years later, embedded in rock and sand. 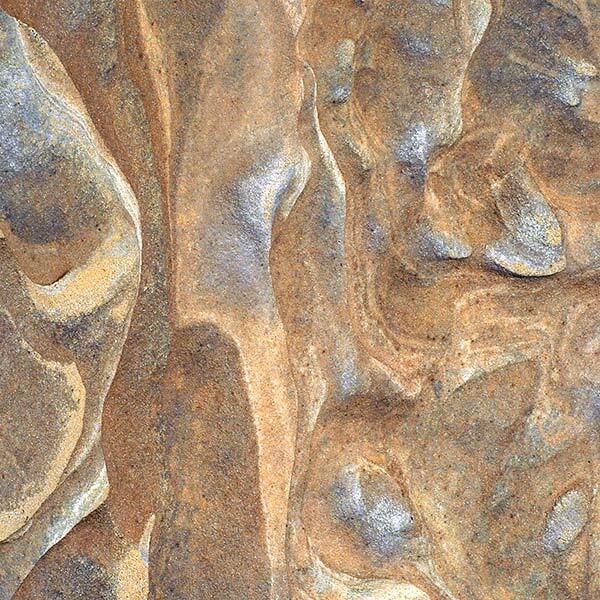 Combined they evoke both history and emotion in the sensual contours that result when elemental forces — water, wind, and earth — meet, clash, and accommodate.